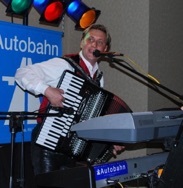 Each year, Helen Chamber of Commerce hosts a traditional Oktoberfest at the Festhalle. The Oktoberfest is a traditional German event, which is the celebration of the wedding of King Ludwig. According to this source, "Oktoberfest began on October 12, 1810 with the marriage of Crown Prince Ludwig, who later became King Ludwig I. His marriage to Princess Therese von Sachsen-Hildburghausen was celebrated in Bavaria." The Helen Chamber of Commerce, at The Festhalle, has been bringing Oktoberfest to Helen for 46 years, and is the longest running Oktoberfest in the world! 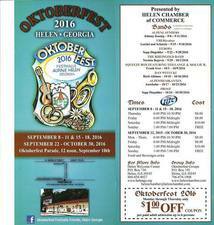 Beer, brats, bands and Lederhosen – the Helen Oktoberfest has them all. Join the longest running Oktoberfest in the United States, which runs from mid-September through October 30th. Every year the Helen Festhalle houses the event. 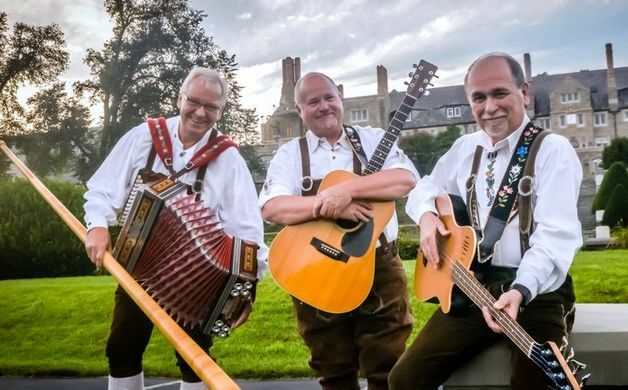 German-style bands from around the country and around the world play on the stage for your listening and viewing pleasure. See the Alphorns blown, the Cowbells rung and the Accordion squeezed. Grab your partner and take a spin on the dance floor to the timeless tunes of the Polka. The Festhalle is set up with a long row of tables so you can eat and drink while watching the show. Enjoy good German beer with a Brat on a roll. Partake in the Gemutlichkeit (and learn what it is). Tickets are sold at the door. M-F, 8.00, Saturday 10.00, Sundays are free. Thousands of people are here weekly for all across the US. We also see visitors from as far off as Europe as well. For more information about this exciting event, contact the Alpine Helen Chamber of Commerce at 706-878-1619, or visit this website. Squeeze Box featuring Ted Lange & Mollie B. For the full band schedule, visit this website.